Home Oil Com­pa­ny ​'Mey­er Oil' was start­ed in the 1950’s by Edward and Sarah Mey­er, hence the name. Arthur and Bette Moon worked for Edward and Sarah Mey­er for a num­ber of years. Because at some point Ed and Sarah want­ed to retire and scale back their involve­ment, Art and Bet­ty took respon­si­bil­i­ty and ulti­mate­ly pur­chased the com­pa­ny from them. Art and Bet­ty owned the home oil com­pa­ny for nine­teen years, when we bought it from them in 2003. Art and Bet­ty also were ready to scale back what they were doing. Bet­ty was ready to do some­thing dif­fer­ent and Art sim­ply enjoyed deliv­er­ing the fuel. He liked being out in the field, see­ing the cus­tomers. He was tired of run­ning the busi­ness end of things. Pay­ing the bills and being the bad guy say­ing, ​"I am sor­ry but we are not deliv­er­ing more fuel until you cough up some mon­ey". Since Ryan Suem­nicht and Amy Suem­nicht took over the busi­ness, Art worked for us close to ten years, when he decid­ed to retire. Mey­er Oil & LP home oil com­pa­ny has gone through a num­ber of changes. When Ed and Sara had the busi­ness they still deliv­ered to gas sta­tions. Art and Bet­ty did for a while too but got out of it when gas sta­tions upgrad­ed to big­ger stor­age tanks. 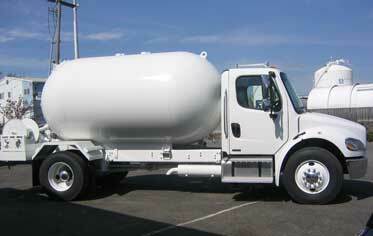 If a truck at the time held only 2000 gal­lons and a stor­age tank was 5000 gal­lons, they couldn’t fill a tank in one go. The whole mar­ket changed and gas sta­tions were now buy­ing direct­ly from fuel bro­kers rather than small­er inter­me­di­ates like us. The home oil busi­ness didn't shrink but changed with the loss of gas sta­tions. Then over the last ten years there has been a lot of change in the heat­ing indus­try since fuel oil is a dying way of heat­ing your home. Peo­ple are going to nat­ur­al gas if they live in town. Or to LP gas if they live out of town and away from a nat­ur­al gas line. As peo­ple are buy­ing new fur­naces we are sell­ing less and less fuel oil every year. This prompt­ed us to get into the propane busi­ness so that we could fill the gap of the cus­tomers we were los­ing. We could see things were pick­ing up on that end. We took a chance to see if it worked, and it has. 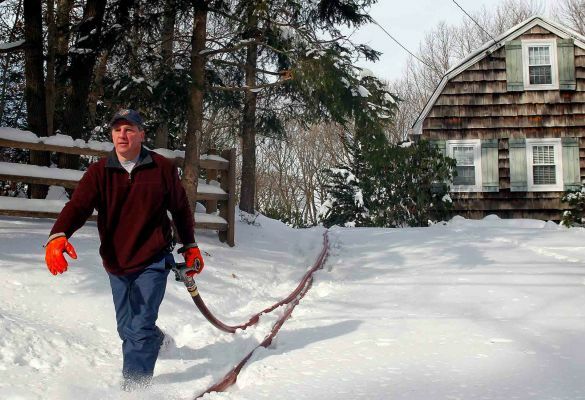 The deliv­ery of propane gas has grown every year for our home oil com­pa­ny. It also worked out nice­ly for our agri­cul­tur­al cus­tomers who were buy­ing gas and diesel from us, but because at first we didn’t offer that ser­vice had to get the propane for heat­ing their house from some­body else. As soon as we start­ed offer­ing it they jumped right on board and got their propane from us too. Now they write one check for their fuel instead of a bunch of checks across dif­fer­ent busi­ness­es. As a con­ve­nience for our cus­tomers we offer a lit­tle auto­mo­tive stuff. Not as a huge sell­er, but as long as we bring you the diesel we can bring you a drum of oil too.